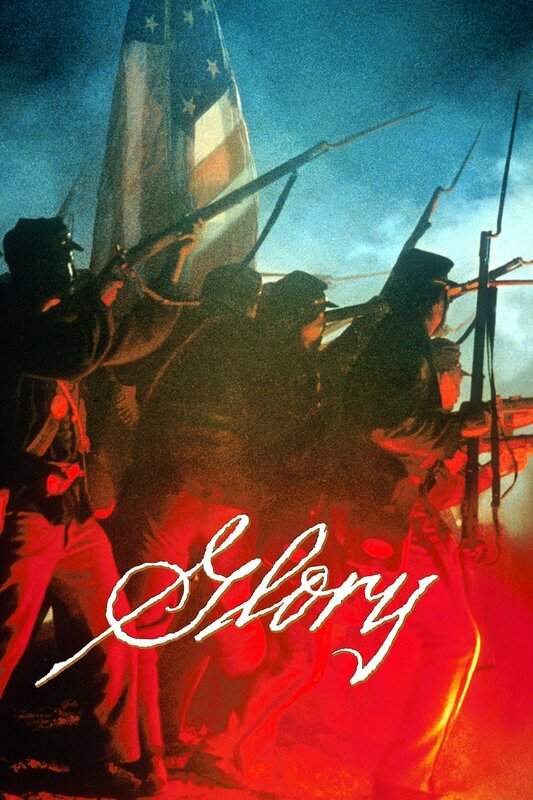 What It’s About: Col. Robert Gould Shaw (Matthew Broderick) trains and leads the men of the 54th Massachusetts (the first African-American regiment in the Civil War) through training, the prejudice of both sides, and eventually, to glory in a doomed assault on Fort Wagner. Why Watch it Today? : The 54th Massachusetts marched out of Boston today in 1863, heading for the South and eventual combat. While director Edward Zwick gives the film a formulaic feel, the cast, including Denzel Washington, Morgan Freeman, Cary Elwes and André Braugher, and a stirring score by James Horner, beautiful costumes, the large casts of extras, and the historical events covered are stirring enough to overcome the Hollywood moments. This entry was posted in "Based on a True Story", Based on a Book, Biopic, Drama, Movie of the Day, War Movies and tagged Andre Braugher, Best Art Direction Set Decoration Nominee, Best Cinematography, Best Film Editing Nominee, Best Sound, Best Supporting Actor, Bill Nunn, Bob Gunton, Bob Minor, Cary Elwes, Cliff De Young, Denzel Washington, Edward Zwick, Ethan Philips, James Horner, Jay O. Sanders, Matthew Broderick, Morgan Freeman, Raymond St. Jacques, Richard Riehle, TriStar Pictures. When i saw this back when it was released, I was torn on liking and not liking it thanks to what you noted above. I felt it was too much of an “Oscar Bait” film, but extremely well made nonetheless. Yeah, its tough because there is a lot to like about this and it’s a story that should be told, but it gets overwhelmed by a lot of easy Oscar Bait choices. I saw it when I was young enough to not be terribly critical, which was probably the best way to see it.